The word that sums up the 2014 football season for Lehigh is almost, and nowhere was that almost more symbolic and frustrating was in their opening weekend against a team that would make it to the FCS Playoffs, James Madison. Early in the 4th quarter, thanks to a gutty touchdown run by senior RB Rich Sodeke, Lehigh held a 28-24 lead on the Dukes and had taken advantage of a litany of James Madison miscues to get the ball at their 20 and a golden opportunity to stomp on the throat of the Dukes. But that 4th quarter instead was an all-too-accurate look into the small things that cost the Mountain Hawks wins this season. 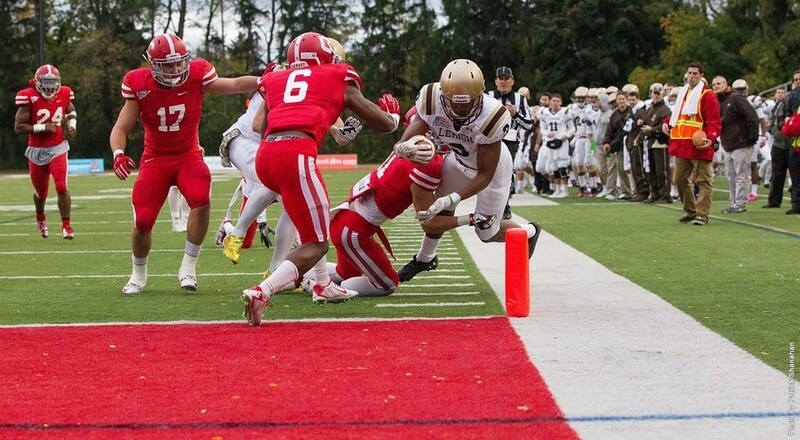 In the end, it wasn’t the talent that had Lehigh limp to a 3-8 finish in the 2014 schedule. It was a whole lot of little things. It was a point when the Lehigh football team could have packed it in, or simply decided that they wanted to just play out the string. 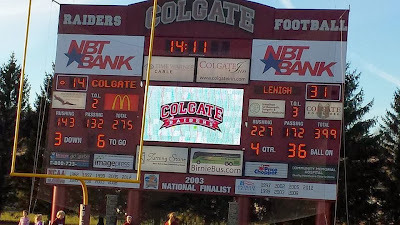 Instead Lehigh went down to Washington, DC and got their second win of the season, as well as their first Patriot League win of the season, with a 27-19 victory over the Hoyas. It wasn’t always pretty. Just like against Cornell, the mixture of young and veteran Mountain Hawks made some big errors to keep Georgetown in the ball game. But despite the goofs, for Lehigh there was a lot more good than bad. For the first time since a few weeks, hope and optimism, for the rest of this year up to the 150th meeting of Lehigh and Lafayette – and beyond – made an appearance. At least that’s what Lehigh players and fans are hoping. Frustration abounds in Mountain Hawk Nation in their 0-3 start, and no matter that two teams they’ve played, New Hampshire and James Madison, have displayed that they are Top 25 caliber teams. It can’t be used as an excuse that Lehigh seems to be the opponent circled on every team’s schedule, either. That’s part of being at Lehigh: you always have the target on you. Monmouth (2-1), too, will have a very large target on Lehigh’s back, after last years’ narrow 28-25 loss to the Mountain Hawks and will undoubtedly have looked at the national defensive rankings at the FCS level and seen Lehigh’s squad ranked 120 out of 121 total non-transitioning FCS teams in total defense, beating only Columbia, who has only played in one game this season. But a lot can change in a week. At least that’s what Lehigh players and fans are hoping.